Built to contract 12829, her maiden flight was from Belfast on 28 August 1959 and she was delivered to No.99 Squadron Royal Air Force Transport Command on 08 October 1959. Serialled XL639 she was named ‘Atria’. During her service, and like all other RAF Britannia’s, XL639 wore the titles Royal Air Force Transport Command, Royal Air Force Air Support Command and finally Royal Air Force, on the upper part of her fuselage. She operated within the Britannia pool at RAF Lyneham from 12 October 1960. 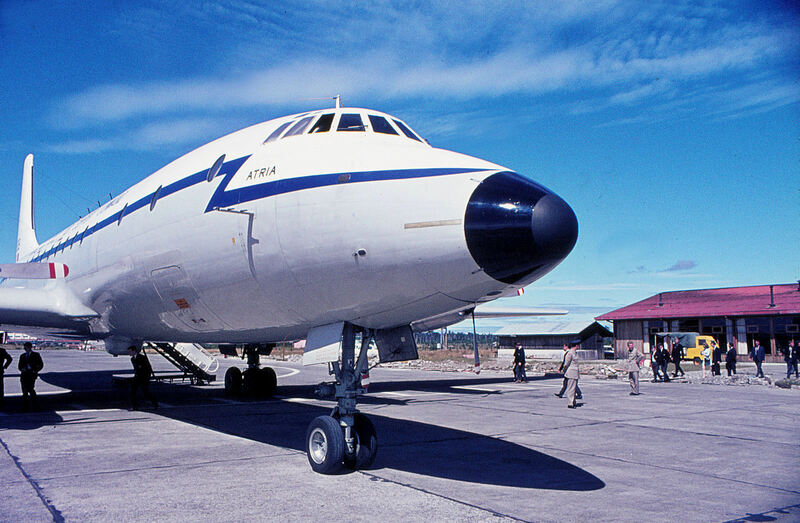 Withdrawn from service on 23 October 1975 she was stored at RAF Kemble and purchased by the Guinness Peat Aviation Company on 10 February 1976 and registered in Eire as EI-BDC. She never saw active service for Guinness Peat and was sold on to Airline Engineering at Luton on 10 February 1977. In June 1977 she was leased by Irish freight concern, Aer Turas and operated without titles. Sub-leased then to Cyprus Airways on 19 June 1977 returning to Aer Turas on 05 July 1977 and back to Airline Engineering in September 1977. Cyprus Airways further leased EI-BDC from 17 September 1977 returning her to Airline Engineering on 08 October 1977. She went back to Cyprus Airways yet again later in October 1977 returning on 07 November 1977. 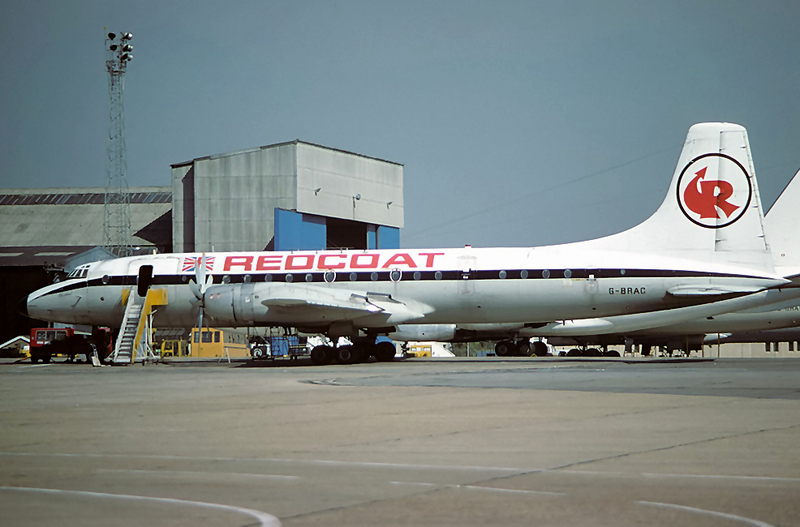 Purchased from Airline Engineering by Eurafric on 20 January 1978 she was operated by them until purchased by the UK based Redcoat Air Cargo on 04 June 1978. Painted in full livery and registered G-BRAC, she was named ‘Christian’. Working together with ex- BOAC Britannia 312, G-AOVS, these two Britannias were seen regularly in the BBC Television series ‘Buccaneer’. During the series the livery remained the same except for a title change to the fictitious airline ‘Redair’. At the end of June 1978, G-BRAC had made a total of 7617 landings and had flown 19 016 hours. On a return flight from the USA to Shannon on 16 February 1980, G-BRAC was lost shortly after take-off from Logan Airport, Boston, Massachusetts, in severe icing conditions and extreme turbulence, tragically killing six of the seven people on board.